Reay Electrical - are MCS / REAL accredited and can Design / supply / Install Solar PV to your Home or work place. Installing Solar Photovoltaic (PV) panels on your roof will convert light energy into electricity which you can use in your home or work place. This will save you money on your electricity bills and provide inflation proof electricity to your home for years to come. As an added bonus, the Government’s Feed-in Tariff (FIT for short) scheme means you could be paid for all the electricity you generate (subject to eligibility) so in time you can recover the cost of your initial investment. All this and the feel-good factor from producing your own green energy, reducing your home’s or work place carbon footprint by around 20% and doing your bit to prevent climate change. 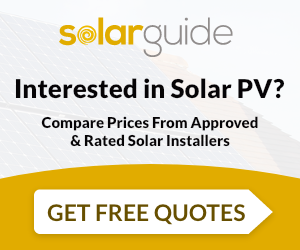 So please get in touch and let us give you a FREE Survey to discuss installing a Solar Power System for you. Reay Electrical supply and install Solar PV. For similar installers in this area please visit the Washington solar page.